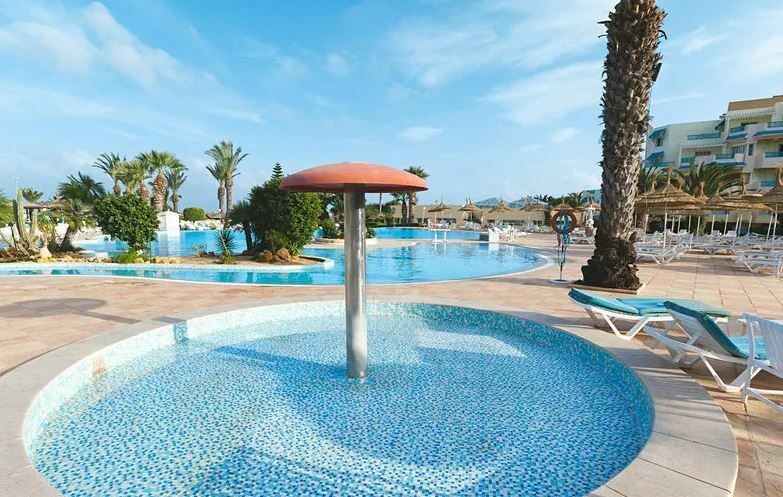 LTI Bellevue Park is located just footsteps from a golden sandy beach and a short walk from Port el Kantaoui's lively restaurant, bar, and shopping scene. 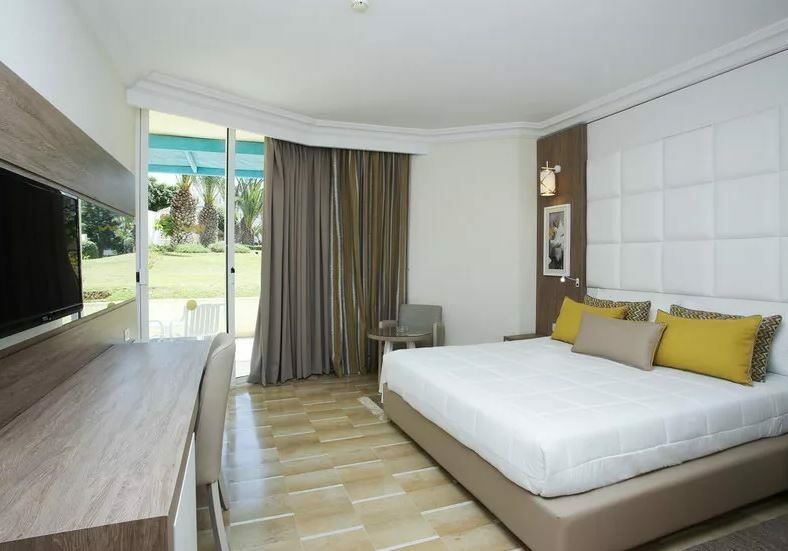 This recently-renovated, adult-only Tunisia hotel combines a plethora of on-site facilities with tasty culinary experiences and chic guest rooms; everything you need to enjoy a dream sunshine getaway! 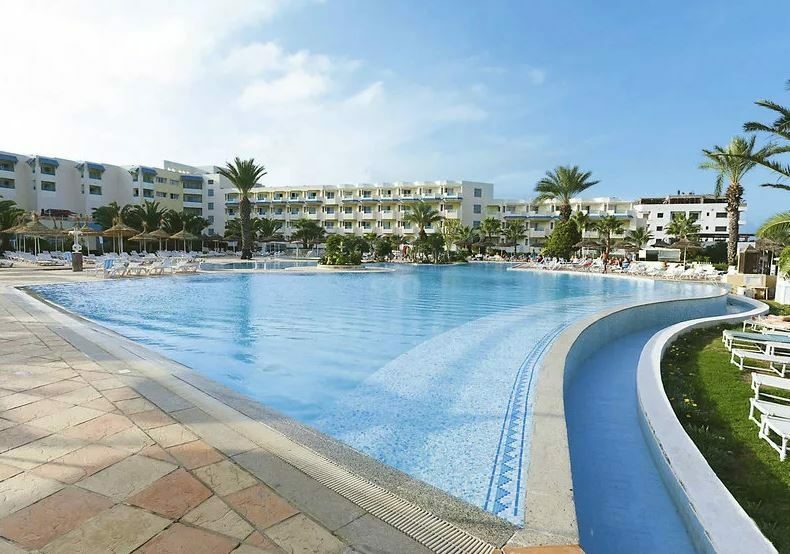 Start your morning by working on your tan by the spacious outdoor pool or up on the sun terrace. Take a leisurely stroll to the spa to pamper yourself with an indulgent treatment or get involved with the many leisure activities on offer. Challenge the family to a game of tennis on the court or prepare a picnic and head to the barbecue area to cook up a feast. A contemporary decor of light wooden furniture and white linens set the scene in your guest room or suite. Homely welcome touches include a flat-screen satellite TV to entertain and air-conditioning to keep you cool in the tropical climate. What better way to unwind for the evening than with a drink from the minibar on your balcony or terrace? The on-site bars and eateries take care of your food and drink cravings. 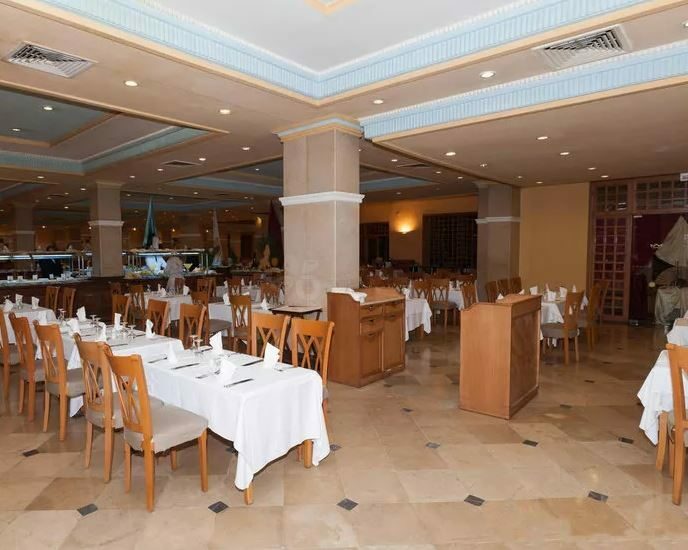 From buffet-style dishes in the main restaurant to a la carte dining in the hotel's second eatery; a choice of drinks can also be enjoyed at the bars. Lively evening entertainment adds to the fun after dark as you sit back and watch live shows and music acts. 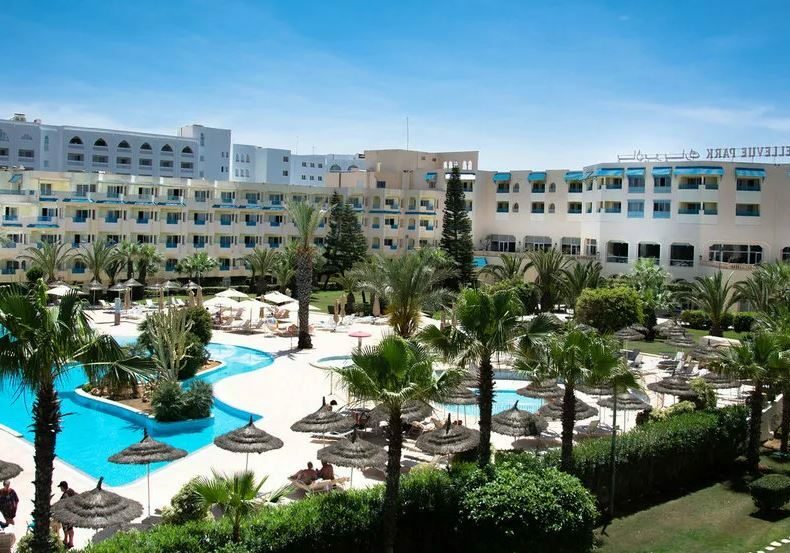 Discover why LTI Bellevue Park is a popular place to stay for Tunisia holidays. LTI Bellevue Park offers plentiful facilities, including: an outdoor swimming pool, children's swimming pool, heated indoor swimming pool, sun terrace, two restaurants, two bars, cafe, snack bar, spa, fitness centre, two tennis courts, miniclub, games room, Internet corner, barbecue grill, garden, gift shop, salon, complimentary Wi-Fi access, 24-hour reception, luggage storage, laundry service, parking, and multilingual staff. Get involved with a plethora of leisure activities, including: fitness classes, table tennis, volleyball, beach volleyball, boccia and shuffleboard, darts, gymnastics, aquagym, aerobics, archery, and water polo. 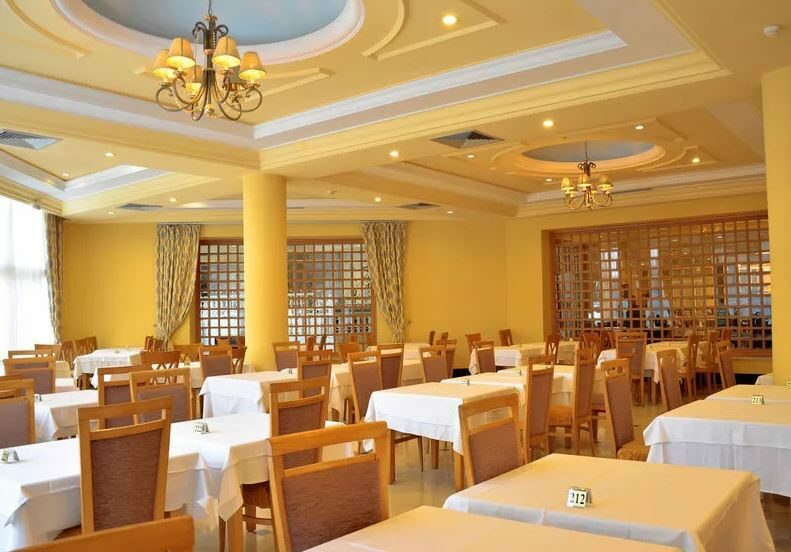 This Tunisia hotel has a total of 387 modern guest rooms; comprising Standard Double and Standard Family Rooms, Family Rooms with Pool or Sea View, Superior Family Rooms, and Junior Suites. 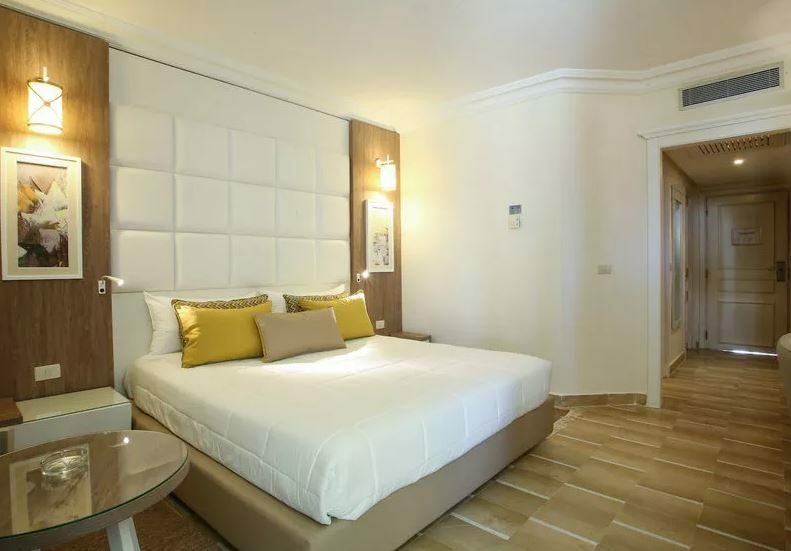 Standard Double Rooms feature two single beds, bathroom with bathtub, balcony or terrace, complimentary Wi-Fi access, air-conditioning, flat-screen satellite TV, telephone, safe, minibar, coffee/tea making facilities, and hairdryer. Tuck into a delicious buffet meal comprising local and international flavours at the main restaurant. 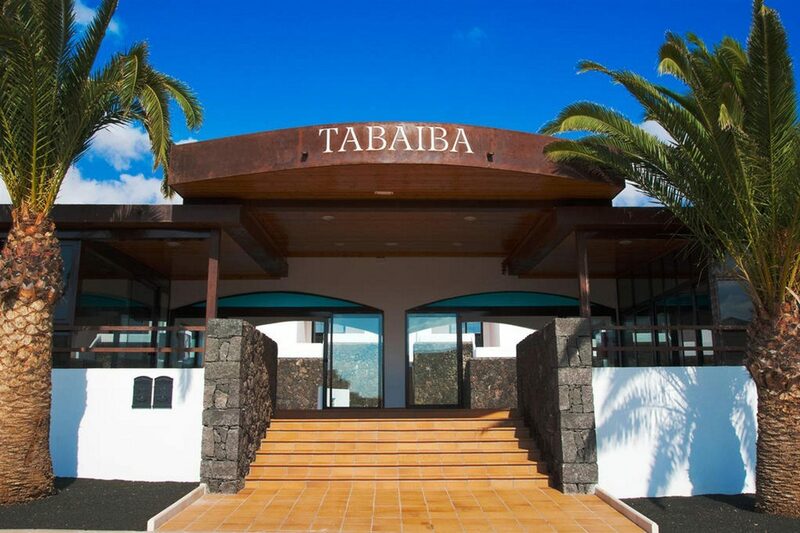 Alternatively, reserve a table at the hotel's second eatery to experience a la carte dining options and an ambient setting. Moorish Cafe serves up delicious cakes and pastries for those with a smaller appetite, combined with the best brew of tea or coffee. Call by the snack bar or pool bar to enjoy food and drink by the water’s edge. After dark, pull up a seat at Lobby Bar to mingle with new friends and sample delicious cocktails, wine, and local beer. Expect live shows and music entertainment in the evening to get you into the holiday spirit.